Things may appear to be a little slow over here since I haven't posted in a week but I promise you that is not the case. I have all these completed projects lined up here and I am bursting to show them to you. Trust me, November is probably my most hectic scrappy month to date. Yikes! Okay, so today I wanted to show you some cards I made with the newest collection Little Yellow Bicycle sent me to play with. It's the Once Upon A Christmas collection and it's just gorgeous. I'm not just saying that, it really is. I love the traditional Christmas colors and the foiling. Seriously, so pretty. 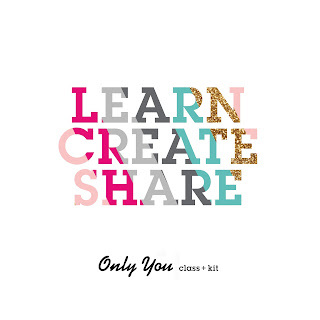 Creative How-to: This card was way too much fun to make. I saw the pretty chipboard ornaments and the chipboard frame and knew I had to cut a window out of the front of my card so that it would dangle. I adhered the paper to the card base and then placed my frame where I wanted it (without adhering it). I traced around the frame and then using my xacto knife and cutting mat to cut the inside out. I trimmed a little extra off so that that the circle is completely covered by the frame. Tip: try to keep it nicely cut because even though it's covered by the frame on the front, it's not covered when you open it up. Next, I added some wire to the ornament, placed it under the frame and adhered it all to the card. 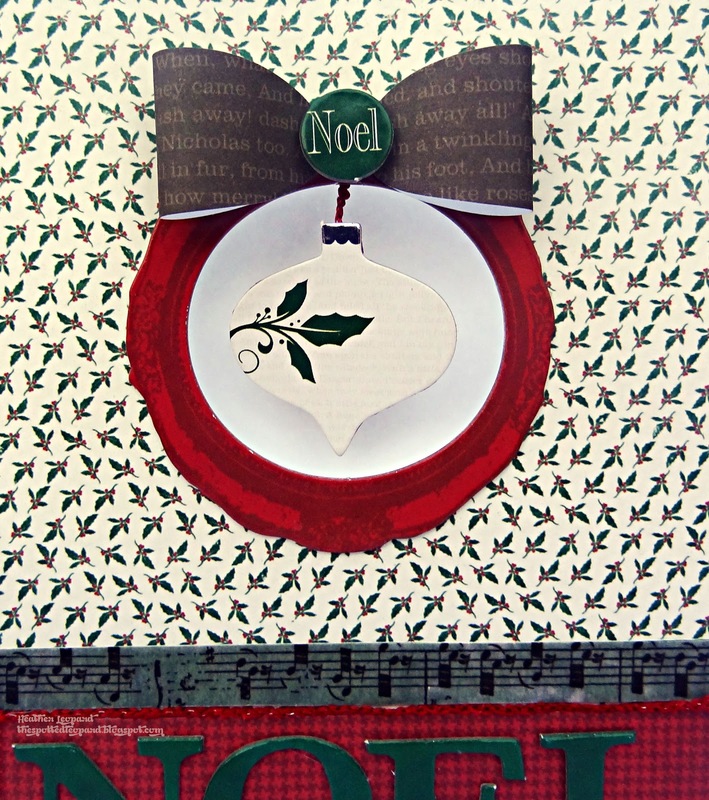 I topped it with the bow and then trimmed out the rest of the card, using the vellum tape and chipboard letters. Creative How-to: This paper is one of those that you love but wonder what to do with it. I first saw it in the 12x12" size and instantly had thoughts for a fun layout with a very basic, simple design so I sketched that out and put it in my sketchbook for a future project because I realized that the 6x6" paper pad version of this would be PERFECT for a card. This is so easy to put together...adhere the paper to the base card. Add herringbone paper and glue dots to the back of the clear cuts plastic frame and adhere it over the small brown wreath (it's covered up so you can just barely see it peeking out). 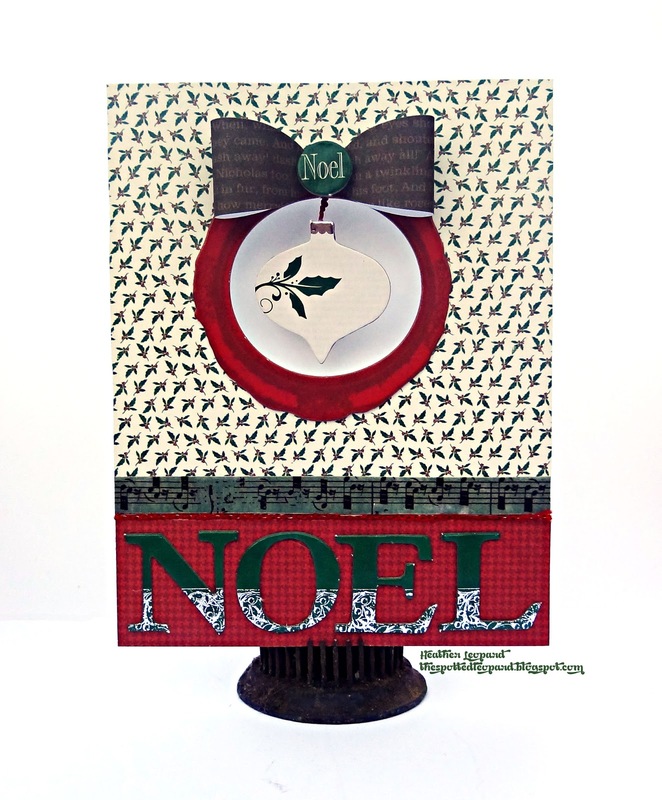 Add ribbon across the length of the card. 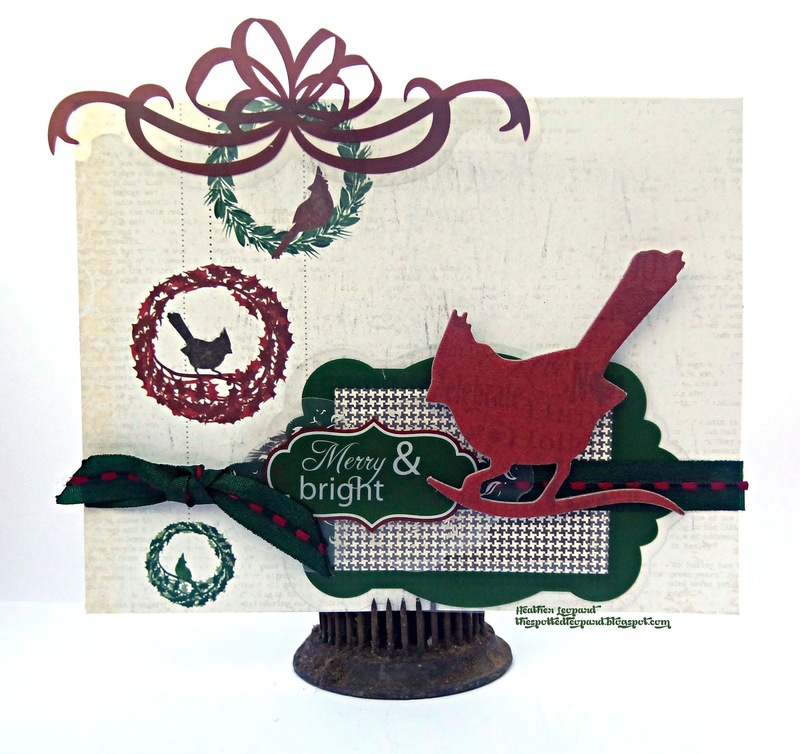 Adhere the Merry & Bright clear cuts sentiment over the ribbon and top it off with the canvas chipboard cardinal. Thanks for stopping by today. Make sure to head over to the Little Yellow Bicycle blog today to see what a few of the other Biker Chicks made! Very pretty cards...getting ready for christmas! Cute cards! 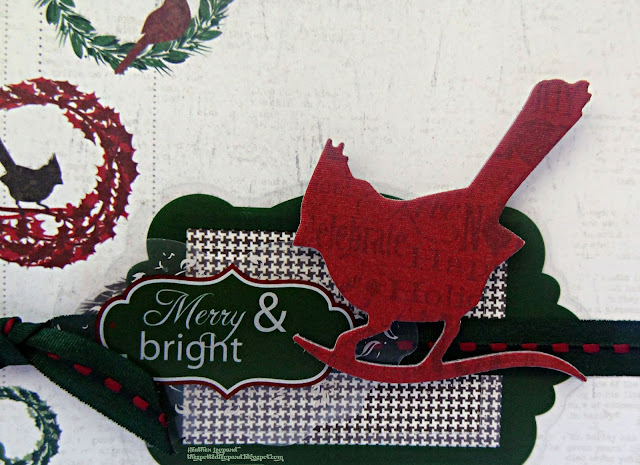 Love the red bird and the bow!! Gorgeous! this is stunning card you have shared..i might need such design for plastic cards..thanks you share it.